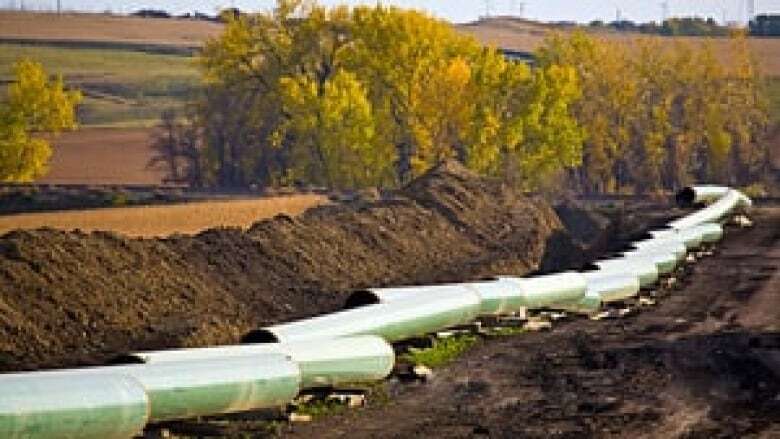 A former TransCanada engineer says he reported its substandard practices to the federal energy regulator because he believed the company's management, right up to the chief executive officer, refused to act on his complaints. In an exclusive television interview with CBC News, Evan Vokes said he raised concerns about the competency of some pipeline inspectors and the company's lack of compliance with welding regulations set by the National Energy Board (NEB), the federal energy industry regulator. Vokes said he refused to back down and the workplace friction eventually took its toll. "It was unbelievable the effect it was having on my health," Vokes told CBC News chief investigative correspondent Diana Swain. "I was certainly on my way to a heart attack, or a stroke, for sure. There is no doubt about it." Vokes said he met with the Calgary-based company's vice-president of operations, and he also wrote a detailed letter to TransCanada Corp. chief executive officer Russ Girling. Frustrated, he finally made a formal complaint to the NEB, a version of events confirmed in an interview by the board's chief engineer. "We understand he went right through the chain of command to the top in [TransCanada Pipelines Ltd.]," Iain Colquhoun said in an interview. "Evan Vokes took the initiative to try and resolve the problem using the internal procedures and we would encourage people to do that," Colquhoun said. "But having not got there, he took the extra step of involving the regulator, and we would certainly encourage that." Vokes went on stress leave in November 2011. In March 2012, he met with top National Energy Board officials and on May 1, he filed a formal written complaint with the NEB. TransCanada fired him on May 8. If you have any information on this story, or other investigative tips, please email investigations@cbc.ca. Patchett said if Vokes made a complaint, "you can take that seriously; take it to the bank, because from what I know, he takes his responsibility, his work seriously." Last Friday, the NEB issued a public letter to TransCanada. Without naming Vokes, it said "many of the allegations of regulatory non-compliance identified by the complainant were verified by TransCanada's internal audit." The NEB said it was "concerned by TransCanada's non-compliance with NEB regulations, as well as its own internal management systems and procedures." The regulator warned the company it would not tolerate further infractions of regulations related to welding inspections, the training of pipeline inspectors and internal engineering standards. It also announced a further audit of the company's inspection and engineering procedures. In an email statement to CBC News, TransCanada said "our reviews concluded that the items raised by the former employee were identified and addressed through routine quality control processes well before any facilities went into service. Vokes said the NEB regulation ensures contractors can't pressure inspectors to sign off on work that is not up to code. These latest revelations about TransCanada's substandard practices come in the midst of a U.S. presidential election campaign in which the proposed Keystone XL pipeline is an issue. U.S. President Barack Obama rejected the application by TransCanada in November 2011, saying more time was required to assess its environmental risks. The firm resubmitted its proposal for an altered northern segment of the route in May. It said the proposal addressed concerns about potential damage to a massive aquifer beneath the environmentally sensitive Nebraska Sandhills. The pipeline, however, is also facing strong public opposition in Texas from landowners and others. The New York Times published a letter to the editor in May from TransCanada Corp. CEO Russ Girling in support of its Keystone XL application. In it, Girling said TransCanada had "safely and reliably operated pipelines and other energy infrastructure across North America for more than 60 years." "Our existing 2,154-mile Keystone pipeline from Alberta to Cushing, Okla., has delivered 240 million barrels of Canadian oil safely to American markets since 2010," Girling wrote. TransCanada Corp. is one of North America's biggest pipeline companies, with approximately 57,000 kilometres of natural gas pipelines, plus storage facilities and power plants in Canada and the U.S.